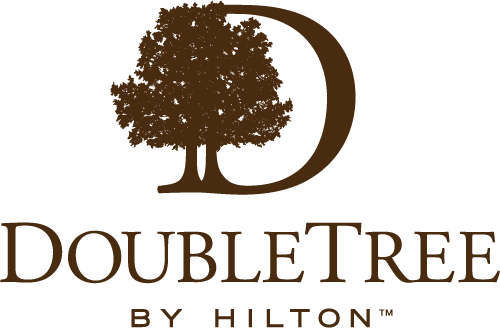 Situated on a hill and offering views of the surrounding neighborhood, the DoubleTree by Hilton Hotel Atlanta - Roswell is 15 miles north of downtown Atlanta in historic Roswell, GA. Minutes from corporate office parks, our hotel is close to companies such as BMW Training Center, Kimberly Clark, Colonial Pipeline, Microsoft and Verint Systems. Located off GA 400, our Roswell hotel offers easy access to Atlanta attractions. Guests can retreat to a spacious guest room or suite featuring a separate seating area with a sofa bed, large desk, complimentary high-speed internet access, a 37-inch HDTV with premium cable, a refrigerator and microwave. They can also choose a two-room suite with two full baths and French doors between the living area and bedroom, unique among hotels in Roswell, GA.
We invite our guests to favor classic American cuisine in our Dogwood Café, or unwind with a cocktail in our Dogwood Lounge. Planners should consider our hotel in Roswell, GA to host their business meeting or special event. Our flexible event spaces accommodate up to 400 guests. Our organization offers a competitive salary and bonus structure, rewarding work environment, and opportunities for personal growth and development.